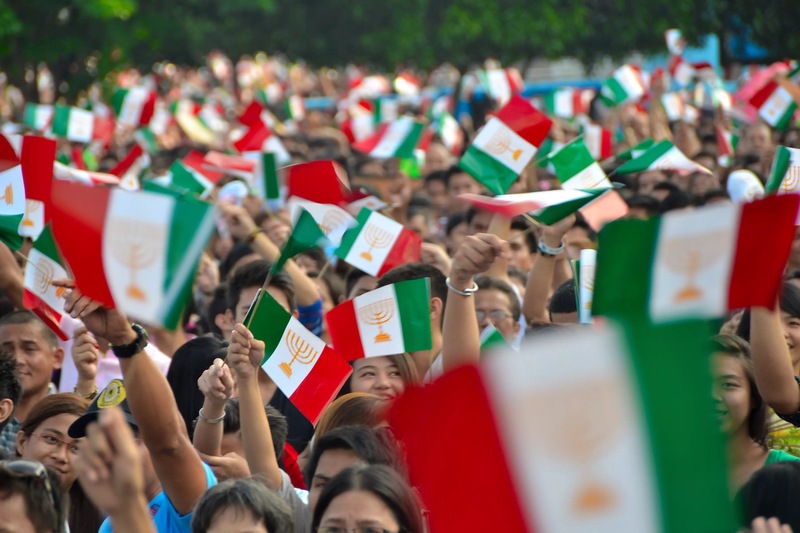 INC rally aftermath: Back to normal? Metro Manila is back to normal, according to Mar Roxas after the controversial Iglesia ni Cristo demonstrations of Aug. 27-30. Malacañang has congratulated itself over an “agreement” with the INC that supposedly ended the demonstrations. Also claiming “victory”, the INC members have since retreated. We could only guess what INC general evangelist Bienvenido Santiago and presidential spokesperson Lacierda mean when they said the INC and Government have reached an agreement and “clarified issues and matters”. The INC had/has lots to explain to the public. It did not help that its spokespersons seemed as inarticulate as its members. Citizens online and journalists on-ground asked and tried to obtain answers. They got mostly opaque, indirect answers. It was obvious and self-defeating that INC spokespersons and members were either unable or refused to give honest and clear answers. While we could guess that the issue could have been discussed thoroughly or clearly inside INC churches, they all deprived thepublic of a thorough and clear explanation that we all deserve to get. This opaque messaging fed into and reinforced many non-INC citizens’ prior views about this native Philippine church. Highly-secretive, cult-like and allergic to questions. That’s not our fault. For while INC members possess constitutional rights to assembly and protest in the public sphere — they cannot run away from the right of everybody else to raise questions and to demand answers. When INC members went out and occupied the public space, they instantly put themselves in the eyes not just of authorities they wished to address. They have to be ready to face and explain to the public. The public didn’t begrudge them of their rights: They were interested in knowing their story in full. The public initially felt there must really be something that big and important that the INC had to say because they mobilized INC members in such a big way. The explanations sought weren’t made just out of curiosity. Some were curious, alright. But there were those honestly concerned over the issues of “separation of church and state” and “religious freedom”. Of course, there are rabid anti-INC folks joining the fray. But their participation is no excuse for silence. Even those who shamelessly wished a downpour of “dinuguan” — I absolutely disagree with and reject their type of speech — do not take away the need for clarity. Very unfortunately for everyone, INC was not frank and honest. Not a few INC members merely recoiled upon hearing questions. Without such explanations, INC members jammed Padre Faura and later Edsa-Shaw. With Government glaringly absent to protect the common good, the INC members put themselves yet again in front and center of the news and the main avenue of Metro Manila. First, the INC members blocked discussion and then they blocked EDSA traffic. The INC put themselves in such an indefensible position. And Government appeared to have wittingly or unwittingly allowed traffic chaos to ensue. Which brings me to the role of Government. The inconvenience at Padre Faura and EDSA could have been averted or mitigated — if only Mar Roxas, Francis Tolentino, national agencies and local authorities performed their sworn duties and mobilized the manpower and machinery of Government. It is a matter of fact that EDSA traffic is the primary responsibility of MMDA in coordination with the mayors of Metro Manila. It is not at all helpless at any time. Tolentino was absent and only a few enforcers were deployed at the choke points that were both widely-reported in media and seen on MMDA’s CCTV. The PNP supposedly went on heightened alert but did not do anything meaningful to help restore the traffic flow. No public vehicles were mobilized to ferry stranded passengers. Roxas supposedly coordinated the many concerned agencies and officials but there was no implementation of any plan to keep EDSA open. MRT Shaw Blvd. is a strategic area. It is the center of the MRT line and the jump-off point for commuters going to Pasig/Rizal and Manila. It has lots of malls too. It was thus the strategic spot for INC members to stage a demonstration — easy for other members to go to, and easy for all of them to put a squeeze on Metro Manila. They obviously succeeded, but with a big help from an incompetent Government that dishonored its obligation to keep that area open to everyone else. Lest we forget, the distance between MRT-Annapolis/Santolan and MRT-Boni is only four kilometers. The Government clearly lost effective control of that short stretch of EDSA. They should be ashamed of themselves and explain to the public how and why. It is plain and transparent betrayal of public trust that Roxas, Tolentino, MMDA and PNP allowed the traffic mess at EDSA-Shaw. “To protect the common good” is precisely why we have these officials and agencies in the first place. With or without a public event, Government has obligations. But especially when there’s a public event that could affect everyone else. Although the INC had been opaque about it, INC members were said to be vehemently opposed to Secretary Leila de Lima’s decision to personally handle the illegal detention case — supposedly out of fear that the Isaias Samson complaint would be used to drive a wedge within the INC and to harass and influence the INC’s bloc-voting choices for the 2016 elections. It is not totally impossible, given the opportunist and desperate character and record of the Aquino administration. That could also explain the statements of Vice President Binay, Senator Poe, Senator Escudero and even Mayor Duterte — when they spoke out to defend the religious freedom of INC members. Naturally, Roxas had a different take and skipped the issue entirely in his statement. The LP standard-bearer did not categorically deny that the direct hand of LP senatorial candidate De Lima has anything to do with any attempt to get INC’s 2016 blessings. According to INC members I was able to talk to, the INC has no problem facing the Samson complaint but would prefer a prosecutor untainted by possible bias. But that wasn’t the impression given to the public. It also doesn’t help that one of the accused in the Samson complaint was the one who applied for a rally permit at the Manila City Hall. But yet again, despite it’s known mastery of Filipino, the INC did not say any of these early and clearly. Heck, the INC’s executive minister Eduardo V. Manalo was not around to personally lead his flock and to address the nation. No evidence was likewise presented to back up its charge that the LP is trying to meddle in the INC’s decision-making. For if that were true, it may have given them a compelling basis to protest supposed attacks on the separation of church and state, and religious freedom. Peping Cojuangco, Pastor Boy Saycon, Eid Kabalu and Harry Roque went to join the EDSA-Shaw rally. They expressed to INC their support. Now and later, they have to explain to the rest of the nation why and what for. That is their problem. Many welcomed the INC’s decision to stop its demonstrations on Monday morning, especially the exasperated commuters and motorists. But the INC and Government have yet to explain the agreement that led to the end of the demonstrations. The secrecy of the background talks and the vague post-rally statements make everyone suspicious. Samson and his lawyers have warned of a sellout. Rightly so, since it was clear that INC questioned the propriety and motive of DOJ secretary herself, not a prosecutor, in handling the illegal detention complaint. INC members and leaders have churches to go back to and their religious freedom is largely intact. But what they did the past few days would have a long-lasting effect on its prestige in the eyes of the public. For while we respect them and their rights, they were largely not transparent, not clear, not frank and not ready to answer the public’s valid questions. I feel sad for them, really. They lost a chance to discuss with the public and to convince us on the validity of their cause, a cause they have taken out of the confines of their church and out in the public space. If bloc-voting is part of INC church doctrines, we must respect it and those who follow it as a matter of faith. But if corruption is involved in any way, that’s a totally different matter. Not saying it is impossible to do, but it would take a whole lot of effort, strong evidence and courage to prosecute such claims — however we “feel” that it has happened or is happening. One casualty in this issue is the constitutional right to peaceful assembly. It is a fundamental right of citizens. The way the INC members used it and Government’s incompetent response to it have demeaned its meaning and power in the eyes of many. Mere inconvenience is not a disqualification for enjoying rights. But going by how many now view rallies — how, where, and why they should be “allowed”, etc. — the constitutional guarantees seem to have been eroded. The widespread belief, which is dangerous, is that rallies should no longer be held in public out of convenience, hidden from view, staged in an area the protesters own and the like. We would regret this view when the time comes when we ourselves need to avail of this important, indispensable right. At the end of the day, we look up to the agency we have set up to protect the common good. That agency is Government. We have to demand full accountability and disclosure over its action and inaction from Aug. 27-30 — why it allowed the traffic snarl at EDSA-Shaw, what it agreed with INC, and whether the ruling party in Government is planning to or is getting its tentacles into internal INC affairs. The biggest takeaways for me these past few days are a couple of realizations on Philippine politics and civics. Religion still plays big, powerful roles. Government could really betray us. Some citizens can be responsible and irresponsible — and descend into lowest, most uncharitable and hateful speech. Political opportunism too by the traditional politicians who rule over the system. The citizens echoed and mirrored the kind of political discourse used and promoted by our “leaders”. And there’s the severe shortage of responsible political parties and leaders who would stand up, speak out and lead for the common good. This new epiphany could start now. Or we could settle for “back to normal” out of convenience. Display photo is from eaglenews.ph. Remarkable! Its actually awesome post, I have got much clear idea on the topic of from this piece of writing.